Without further ado, here is Entry #3. Stephen Kozeniewski (pronounced “causin’ ooze key”) lives in Pennsylvania, the birthplace of the modern zombie. During his time as a Field Artillery officer, he served for three years in Oklahoma and one in Iraq, where due to what he assumes was a clerical error, he was awarded the Bronze Star. He is also a classically trained linguist, which sounds much more impressive than saying his bachelor’s degree is in German. He has written numerous horror novels including Braineater Jones, The Hematophages and Hunter of the Dead, and has been published in various anthologies. The vote will open soon. Stay tuned for the final story! 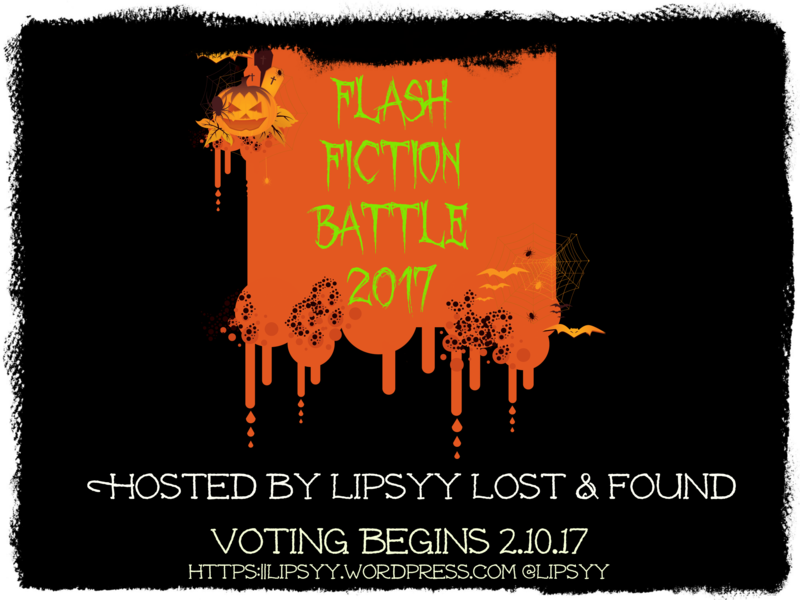 The flash fiction battle will see four of the best independent horror writers produce an original short story (1000 words or under) based on a prompt chosen by you! Voting ends on Friday 6th October at midnight and I will announce the winning prompt on Saturday 7th. The writers will then have until the 21st Oct to get their stories to me. Once all four stories have been published another vote will open so you can pick your favourite story and I will crown the winner on Halloween. Huge thanks to all four writers, especially Stephen for helping to coordinate. Now get voting! 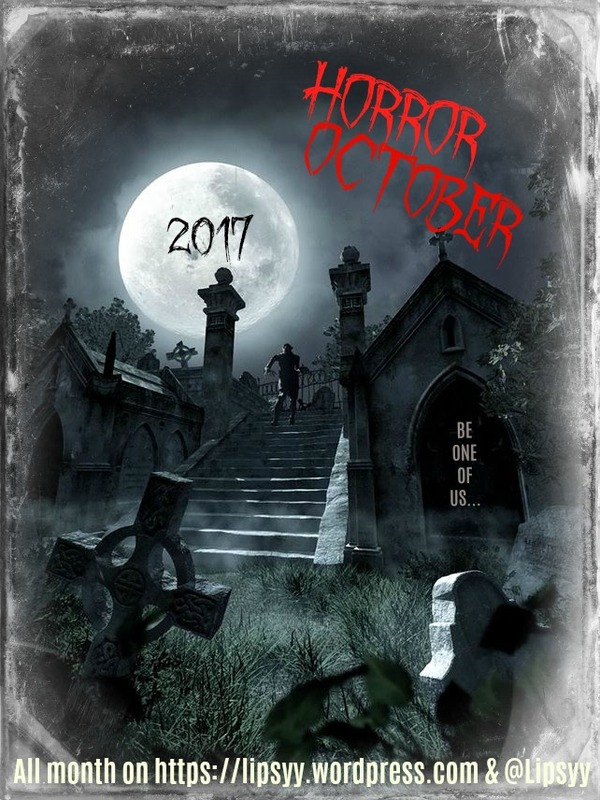 You guys, yes you guys, can vote for your favourite story prompt and then the authors – who incidentally are all of the male variety this year (it wasn’t intentional before I start getting ‘girls write horror too’ hatemail) – will write their guts out to produce their best horror story in 1000 words or under. 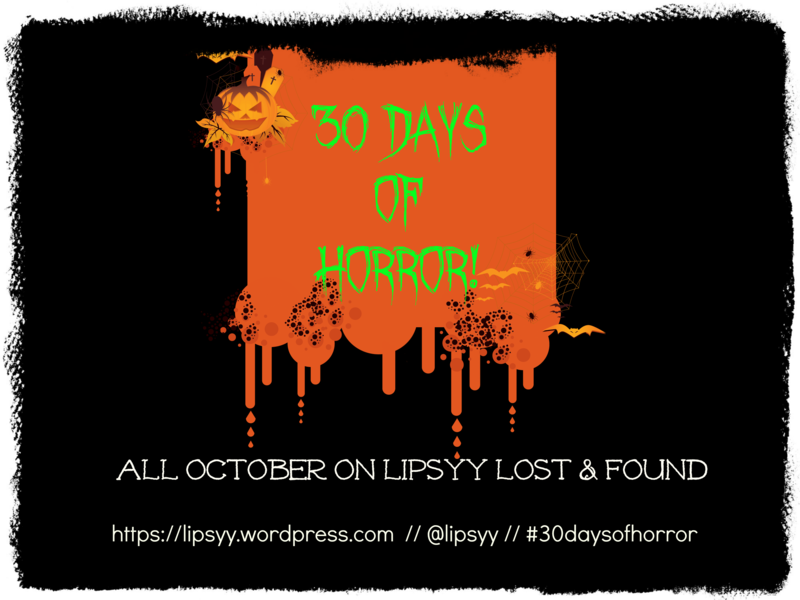 Welcome to another book promo on Lipsyy Lost & Found where I’m always thrilled to support indie authors & publishers. This time the promo is for a collection of five stories exploring the theme of psychological manipulation from five different perspectives. Five stories – Five Lives. Have you ever felt confused or at a loss for words in front of a spouse, colleague or parent, to the extent that you have felt inadequate or, worse, a failure? Do you ever wonder why someone close to you seems to endure humiliation without resistance? Manipulators are everywhere. At first these devious and calculating people can be hard to spot, because that is their way. They are often masters of disguise: witty, disarming, even charming in public – tricks to snare their prey – but then they revert to their true self of being controlling and angry in private. Their main aim: to dominate and use others to satisfy their needs, with a complete lack of compassion and empathy for their victim. In this collection of short novellas, you meet people like you and me, intent on living happy lives, yet each of them, in one way or another, is caught up and damaged by a manipulative individual. First you meet Tess, whose past is haunted by a wrong decision, then young, successful and well balanced Sophie, who is drawn into the life of a little boy and his troubled father. Next, there is teenage Holly, who is intent on making a better life for herself, followed by a manipulator himself, trying to make sense of his irreversible incarceration. Lastly, there is Lisa, who has to face a parent’s biggest regret. All stories highlight to what extent abusive manipulation can distort lives and threaten our very feeling of self-worth. The author, Helene is giving away copies of one of the stories from the collection entitled Tess and Tattoos. Simply head to her website, enter your email and tadaaaa! Helene grew up in Belgium where she gained a Licentiate in Journalism & Communication, which led to a career in radio and television in Brussels, London and Edinburgh. She now lives with her husband and two children in Portugal and recently acquired a Master of Philosophy with the OU, deepening her passion for the study of the mind. When she is not writing, Helene works as a freelance journalist and teaches Yoga. If you’d like me to promote your book, please get in touch via the email on my contacts page 🙂 Thanks to Helene for getting in touch! Lipsyy Lost & Found Blog at WordPress.com.